What do I like about this photo? The proximity makes for incredible amounts of detail. Just zoom in. If you're viewing this in Instagram or Facebook, you might want to head to my blog (address in profile) to view the photo with a higher resolution - it's worth it. 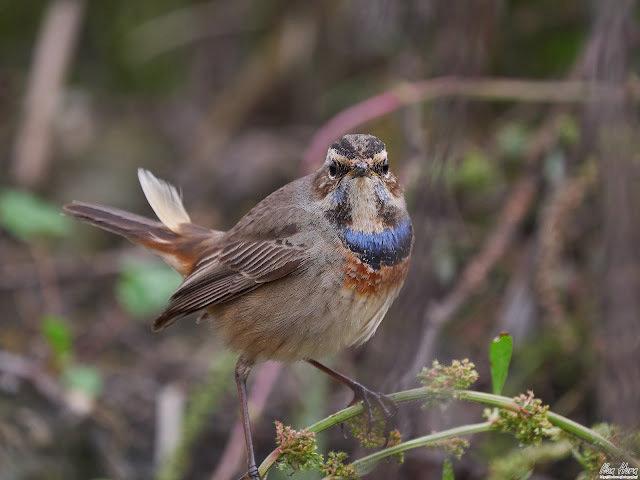 I used an open aperture (f/6.3 - the most my lens allows at this focal length) to get a shallow depth of field, so the bird is in focus and the background is blurred out, so the bird pops out. 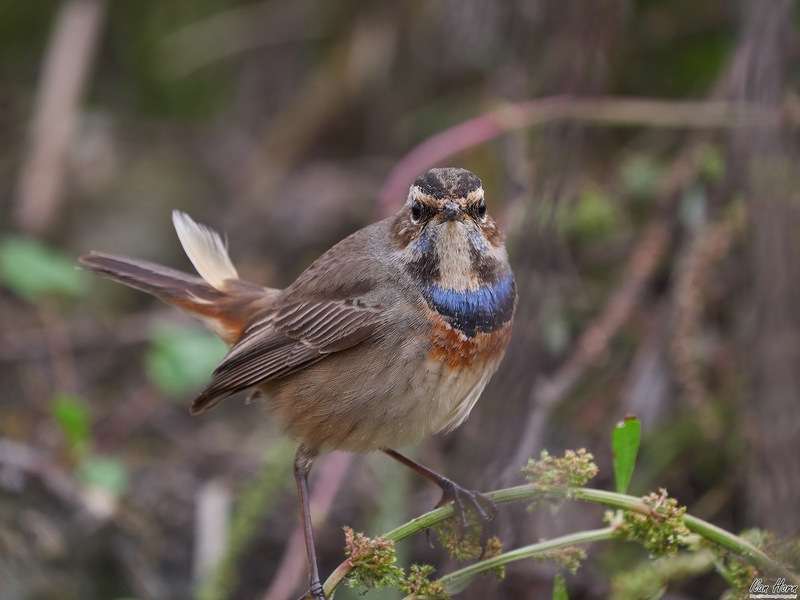 The eye contact also upgrades this photo, as does the low point of view that makes us view the Bluethroat at eye level. What would I want to improve? The background is a bit too noisy - a faster lens with a more open aperture would have helped. Unfortunately, I don't own one. Also, the end of the right leg is out of the frame - I was so excited by the proximity and pose that I didn't compose carefully enough. As you might say, practice makes perfect - I'm not there yet.